I like to avoid books with too much hype. I don’t know it where it comes from but most of the time it’s marketing and publicity. Which is great; I love seeing publishers promote the books that they love, even though sometimes you can definitely see through that campaign and what’s a passion project and what’s ‘we can make money out of this’. Fine. Publishing is a business, I get it. But sometimes the hype train is just too much that your expectations sky rocket. When I heard Caraval be compared to The Night Circus, I got way too excited. People were clambering over themselves for a copy, trying to collect each ‘hidden’ cover. And considering many YA books in the UK aren’t given a hardcover phase, I knew it meant that they had so much faith in this series. But instead, Caraval was below average. It was so disappointing. And so from there on in I stopped listening to hype. There’s excitement, there’s marketing, but I cannot deal with a never-ending screaming session where I see a book everywhere. So Children of Blood and Bone rolls around. But it’s different. Children of Blood and Bone is a YA fantasy set in a Nigerian/West African inspired world with all characters as people of colour. This is already something that deserves the hype, because let’s be honest, there are a lot of people in publishing (and in the general world) who do not want to see a book like this succeed. They believe it can’t succeed, and even consider it ‘forced diversity’. There aren’t enough POC stories to even measure how well they can succeed. That’s so much pressure on Tomi Adeyemi to absolutely smash it because 1. She’s the only POC author you’ve heard of, and 2. She’s writing in what is unfortunately such a niche genre that if she fails, people will dismiss the whole concept of a story not centred on the white experience. So while hype kills, Children of Blood and Bone has the walk to back-up the talk. You could have very easily skipped everything before to get to the actual review but I had a point to make. 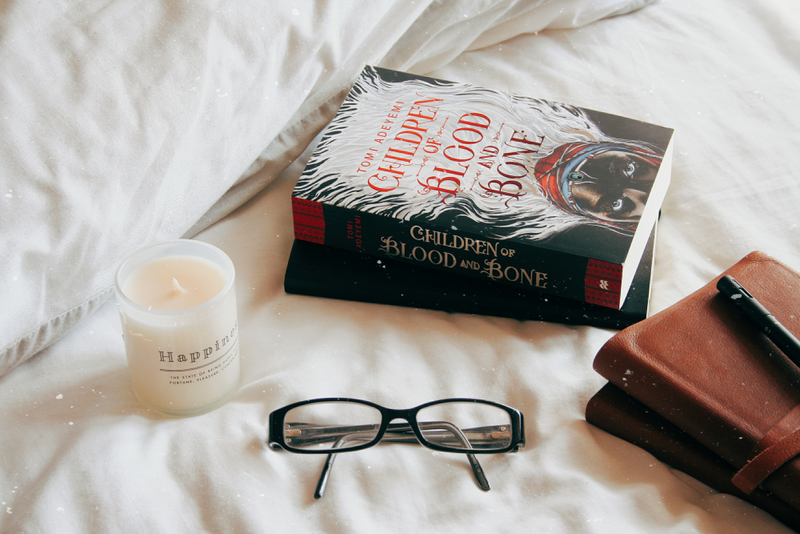 Children of Blood and Bone was, in many ways, your classic YA fantasy. I loved it, but there were many elements that I recognised as not different from other YA fantasy. I adored all the characters, especially my girl Amari, who goes through so much change in this novel, I’m excited to see who she becomes in the sequel. There were a few problems with some of the characters; I don’t like the ‘romance dance’ that you often see in Sarah J Maas books, where everyone has to be paired up. Single characters are allowed! But it didn’t ruin the whole experience for me, so I digress. The setting was nothing like I’ve read before, and it’s definitely the novel’s selling point. It was easy to picture, unique in the way it was written, and I totally got behind it. And I can’t wait to read more about it and the surrounding countries/communities. So, while hype can kill, I would recommend Children of Blood and Bone as a shining example of a book that lives up to it’s hype. And Tomi Adeyemi is coming to YALC! So give it a read before you meet her!